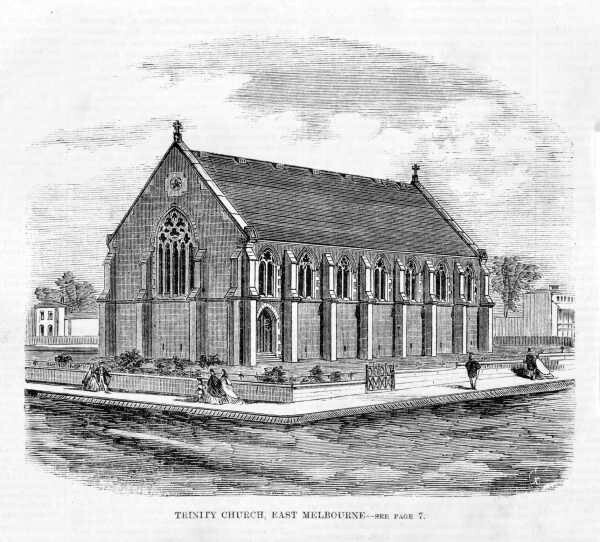 An engraving of the first Trinity Church East Melbourne, published in 1864. Scanned from a book and published by the State Library of Victoria through Picture Australia. Date(s) of creation: December 24, 1864.